Cool Things My Friends Do (Week #117): Tim Hayden - "The Mobile Commerce Revolution"
Welcome back to "Cool Things My Friends Do". This nearly weekly blog post series is now in week #117. I have not posted lately, as this series has spun out a new podcast: "Cool Things Entrepreneurs Do", and launching a podcast is a lot of work.... but the first six shows are live (two new episodes each week coming to an iTunes or Stitcher account near you!!!). Check it out, subscribe and leave a comment. 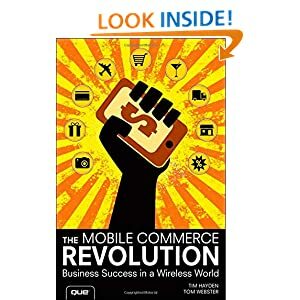 Tim Hayden just released his book, "The Mobile Commerce Revolution". That is cool. Tim is a serial entrepreneur, marketing guru, speaker (he just joined the National Speakers Association), and a friend. I have known Tim for several years, and I mentioned him in my 2nd book, The ABC's of Networking. It has been great to see him navigate the ups and downs of an entrepreneurs, solopreneur, and intrapreneur. Tim is a real thought leader in the world of social and mobile marketing. He is also a hard working entrepreneur who makes things happen. 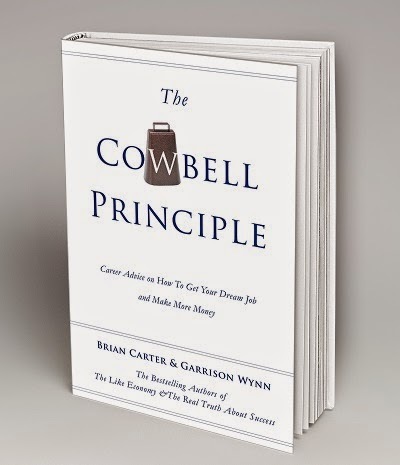 His book ,which is co-authored with Tom Webster, is an actionable guide is packed with brand-new case studies and practical guidance from small startups to large brands. The authors share their immense experience in a way that will make the reader think. Congratulations to Tim and Tom. I am thrilled to have them as week #117 of "Cool Things My Friends Do". Also, Tim has agreed to be a guest on the podcast... so check back in a few weeks to listen to that episode. Today was TEDxSanAntonio. My 17-year-old and I spent the day together listening to the inspiring speakers and participate in this 5th Annual event. Yes, we live in Austin. Texas.... not San Antonio. But TEDxAustin has apparently died off (temporarily, they say). I had attended the Austin event a several times, and always found it cool to be part of the TEDx community. The ideas that most speakers share are original and make me think. My daughter is on the planning committee for the TEDx youth event in Austin, and is a big fan of all things TED. Since San Antonio is only 70 miles away, it was an easy decision to drive down for the day. Wow, what a great event. All the speakers were good, and covered a wide variety of topics that linked to the theme of "Ideas in Action". Three of the speakers were outstanding (this is my opinion, haters leave me alone): SJ Murray -"Hardwired for Story", Trevor Muir - "Should School Take Place in the Real World", and Leezia Dhalla -"Hiding in Plain Sight". Each of these presentations were a perfect combination of powerful content with excellent speaking skills. I was surprised that more people from Austin did not attend the TEDxSanAntonio event. Our two communities are separated by approximately 70 miles and are two of the fastest growing cities in the United States. The San Antonio community is filled with amazing people who are as nice as you find anywhere on the planet. While we did not know many people at this event, those who we met were friendly and welcoming. When it comes time for the 2015 event, I would happily head back to San Antonio to participate again. Kudos to the organizing committee who curated a perfect day. 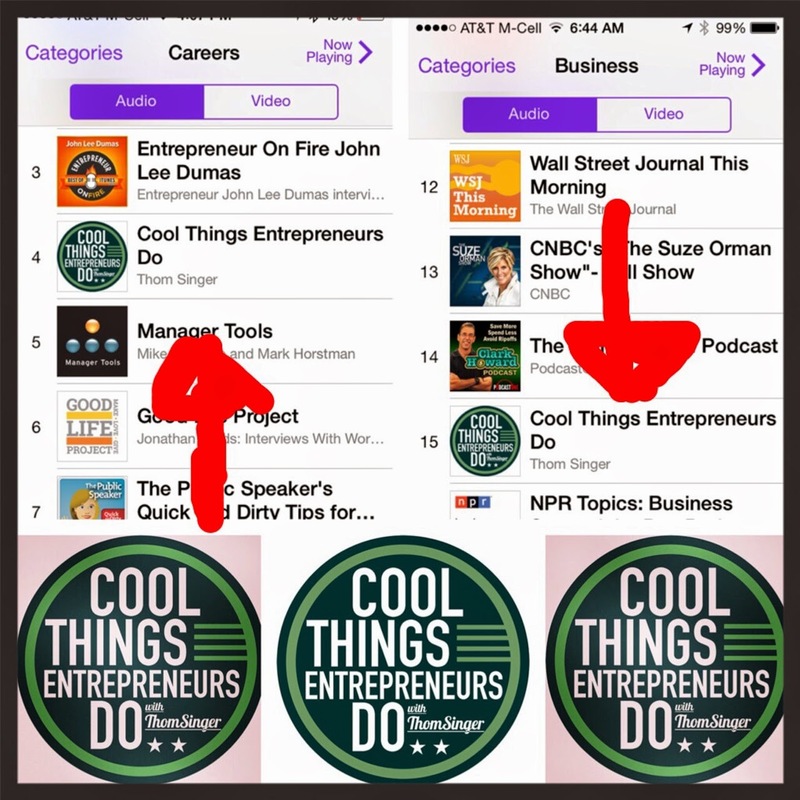 The new podcast, "Cool Things Entrepreneurs Do", is booming along. It was number SIX on Thursday on the "Career Podcasts" list on iTunes. It was also #44 in the general business category. Not sure how it ranked so well, but it was fun to see the green circle logo riding high for much of the day. This week's interviews (Tuesday and Thursday) were with Beth Ziesenis and Roger Courville. Both are friends of mine from the National Speakers Association ("Cool Things My Friends Do" seems to be merging into the podcast!!!). Today I got to hang around with my fellow professional speaker friend, Beth Ziesenis (Beth lives in San Diego). Beth is an established national "Tech Speaker" (known as "Your Nerdy Best Friend") who was in Austin to present at a conference. One of the coolest parts of being an active member in the National Speakers Association is all the "speaker friends" you make along the way. Being a professional speaker, and often on the road, can be a lonely business. When I find myself in other cities I meet up with my NSA pals. We either connect for a meal, drink, or a business brain-storming session (or all three). When some of them are in Austin they often call me to get together. I usually take them to the Salt Lick for dinner (that has become a tradition, visit Thom, eat lots of BBQ) or to another Austin favorite (today I took Beth to Casa de Luz and Delish Cupcakes). Choosing to make time for people is how relationships are forged. Being part of a trade / industry association is a great way to develop contacts. I would not be in business if it was not for the NSA and the things I have learned from the people I have met. My participation in a few other associations also bring me to more understanding of the meetings world. Participation can lead to more inspiration than most ever imagine. Many who want to be professional speakers miss the value in having meaningful relationships with other speakers. Some see their fellow speakers as competition, others are just "too busy" (or too scared, too cool, too something) to invest in friendships. But the speaking business is tricky, and from the outside it appears different from the reality. Navigating a career as a speaker is made much easier when you have your "speaker buddies". Regardless of your industry, it is important to have friends in your business who have your back. Do not push away the people who could help you uncover the path to more success. 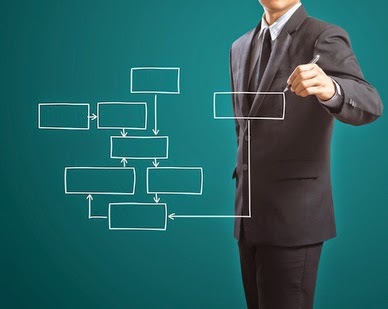 The sharing of best-practices and the mastermind meetings are paramount to discover fresh perspectives. If you sit alone and believe you cannot catch a break, examine your relationships with your peers. Nobody is an island and those who have peer groups always seem to uncover more opportunities. It was fun to see Beth, but she also inspired me by how she connects to her clients. She is doing great things with her speaking career, and that is cool. ***Speaking of "Cool".... Beth Ziesenis is also the current interview on the "Cool Things Entrepreneurs Do" Podcast. Log onto iTunes and download the episode. Oh, and leave a 5-star review (it helps the show get found). The progression of a life is not always linear. It goes up and down and all around. From the outside other people assume that everyone else have their stuff together, while they only see their own struggles up close and personal. Part of being human is we are constantly being exposed to new ideas and information, and this can deeply impact a person. Too often we think we know someone, only to later learn we knew the "old them" from long ago. People do change, and often for the better. We all are working out our own "stuff" and it is not easy for anyone. There is "good stuff" and "bad stuff", but we all have piles of stuff littered around our souls. When someone opens up and shares their journey we get a glimpse, but even then we do not know all the details of how they wrestle their thoughts. Too often the assumptions that are made are simply off track, and that keeps people from forging the mutually-beneficial relationships we desire and that could have positive impact on many lives. Where it gets difficult is how judgmental most of us can be about others. If we catch a glimpse of flaws in another person, decisions are made about the whole. In any one moment that you encounter someone, you may have not found them at their best. Be careful not to close the lid on how you judge them, as your vantage point many not allow you to see the whole picture. I am totally a work in progress and know I have rubbed some people the wrong way in my nearly 50 years on earth. But when I make a mistake (and understand what I have done - and agree that it is a mistake), I work diligently to improve from that moment forward. I am cool that I am flawed, and do not hide from the bumps and bruises of living life. There is work to be done to grow, and the more I learn listen to others, and hear them, the easier it is to find ways to improve. The jumped to conclusions I have made about others are often wrong, and these warped impressions have caused me to miss out on knowing amazing souls. After my 30th high school reunion I realized that the teenage version of me was surrounded by amazing people who I never talked to in school. Why? Who knows? Maybe fear? I was not a cool kid, and to protect "self" I apparently did not let everyone get close (fortunately I also had many great "forever friends" from my early days!). Over the years I have learned that most people are worth getting to know, and now try to let everyone into my world. I am even good about re-opening doors to those who have come and gone. Walling off and judging never brings new opportunity. Sure, some folks are takers (or full of drama) but most are wildly awesome. Some wont gel with me in the long run, and that is okay. But others bring fresh points of view and expose their knowledge that expands my own. I wish I could go back and repair the mistakes I have made with people in the past. I wish I could let people know I see and hear them. Yet a work in progress is all about the progress. I am doing work each day to improve how I see the world. There is no rewind button in life.... and that is okay. The people who share my journey today are the ones seeking to get past their own negative stuff. We will figure this out together!!! 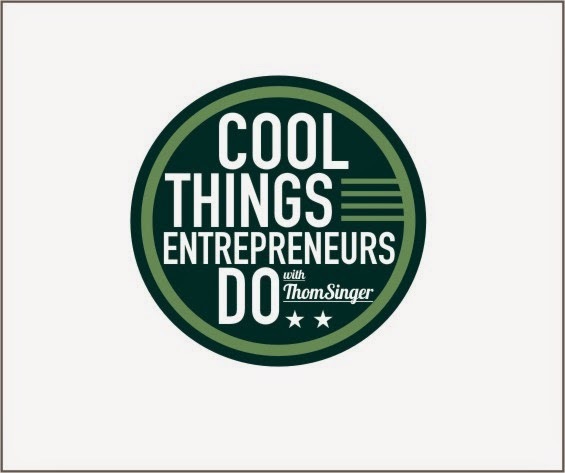 The new podcast, "Cool Things Entrepreneurs Do" has gone live with the first three episodes. Twice a week it is my plan to bring interesting and informative interviews to the listeners highlighting information and ideas about starting a business and leading a life as an entrepreneur or solopreneur. I spent the better part of 2014 researching the idea of hosting a podcast. I attended the "Podcast Movement" conference in Dallas this summer, and made friends with several others who host shows. At first I was not sure I would enjoy this, but it has turned out to be a ton of fun.... and I can't wait to talk to each guest. I am still learning how to capture higher quality audio, how to edit (outsourcing that for now), and I am actively working to find "my voice". But like all journeys, it begins with the first steps. Please go to iTunes and download the podcast, or better yet.... SUBSCRIBE. Thanks for your support. A positive review would be great too! If you have an idea for a guest, I am open to all types of suggestions. I am seeking out people who have unique businesses and a sparky personality. Leading up to my 30th high school reunion I wrote a post called "5 Tips for Successfully Attending a High School Reunion". This was written as my high school classmates prepared to gather in California to celebrate three decades post graduation. Many people don't do reunions. The reality is our class of around 800 people had less than 200 who chose to attend the gathering. I have heard that in the age of Facebook fewer people decide to show up for high school reunions, as they feel they "know" what the people whom they care about are up to regularly. I had hoped to share the evening with many who never arrived. Some had conflicts with their schedules, others lived far-far away, and many simply did not want to attend. However, the people who showed up brought with them a festive spirit and the party (and post parties) lasted late into the night. The whole weekend was full of hugs and discovery. As I reflect on this monumental event (I do not believe when we crossed that stage in 1984 dressed in maroon or yellow caps and gowns we could have imagined a future that included our lives 30 years later), I was reminded how fortunate I was to grow up in this community. A real community is comprised of people, and we had some great people in our graduating class. While we were a big school, many of us began together in elementary school and shared memories that went back to our earliest years. (Attached is a photo of those who were in my kindergarten class). We laughed about the past (good and bad) and reveled in the journeys that all have taken. Those who "got you" in high school still understood your most basic self. I spent the weekend with several people who I affectionately list among my "Forever Friends", those people who are always an active part of your life no matter what happens along the way. Some I chat with regularly, others not as much.... but the connection is real and never seems to fade. It actually grows stronger over time. The most interesting part were the people I did not know, or could not remember. Thirty years is a long time to match a face to memories in a class so large. But each classmate whom I proactively started a conversations brought another stitch in the tapestry of this reunion. Every person I talked to happily shared their life and wanted to know about the other people present in the room (There was only one person from whom I felt a negative vibe, but without having talked to that person I have no way of knowing if there was a real issue with me or if I imagined the stink eye!). While a party like this is not for everyone, I wish fewer people had stayed away. So many people showed their heart and soul and it was clear what makes individuals special. One friend who is "fun in a bottle" had me laughing all night, and another lapped up the evening and being with us all like a puppy whose owner had just returned home. There were former preppies, mods, beauty queens, punk rock types, athletes, band members, cheerleaders, social butterflies, dancers, actors, etc.... and all showed up at the reunion and stood shoulder to shoulder. Time had erased almost all issues that may or many not have mattered back when Ronald Reagan was president. People remembered their teachers, best friends, first crushes, summer vacations, and a plethora of extra-curricular activities. The evening kicked off with some video clips from the "Apache News" (our twice a week closed circuit newscast that reported the goings on at our school). The news team anchors from 1983-84 stepped in as the EmCee's of the reunion program (myself included), and it was fun to work together again. As I boarded my flight home to Austin, I was filled with an excitement to return in another decade. My hope is to keep in better touch with those I encountered and establish new friendships with those who I share this connection. The evening was exactly what it was meant to be, and I thank everyone who made the trip (regardless of if they traveled three blocks or 3000 miles). It is my hope that all of us who were there will rally the troops in 2024 when we do this again. If you were there, or you attended another reunion recently, please leave a comment with your own observations. I know there are others who can add to this discussion.... as people have lots of opinions about reunions!! !